Movers Minneapolis – Get quotes from long distance, cheap with best services piano moving companies Minneapolis MN, compare and save up to 50% on your move. We at movers hire, provide a complete range of moving service suppliers that covers Minneapolis as well as all across the USA. Specialties :-General Expert Moving Services are professional and trained movers. They are trained and determined in making every move hassle free and stress less. The co..
Specialties:- Junkluggers of Minneapolis-St. Paul is known for providing quality moving and junk cleaning services at affordable prices. They make the cellars and gara..
Specialties :-The process of moving and storing could be stressful, time consuming and costly. But Day makers moving and storage makes the day of move stress free and sat..
Specialties :-Flat Price Moving is one of the topmost moving companies in Minneapolis. 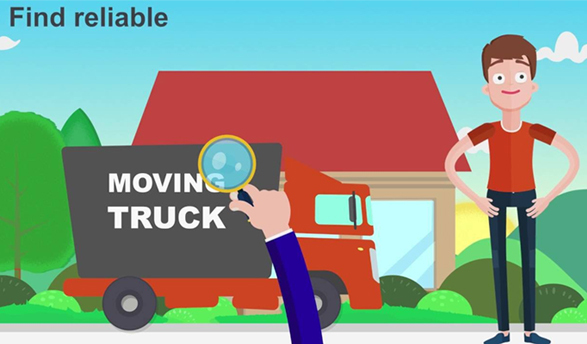 Flat Price Moving and Auto Shipping serves as long time and is determined in provid..
Specialties :-Interstate or local move is something which you can complete with the help of your family and friends, however, when it comes to long-distance moves, you sh..
Specialties :-Trico Long Distance Movers is a distinguished moving company in the United States, holding expertise in performing all types of residential or commercial in..
Specialties :-Minutemen Haulers are the best moving company in the moving industry. They are very helpful to the customers who want to relocate to the desired place witho..
Specialties :-Uptown moving and storage is an eminent relocating service company offering excellent moving services to the residents and making their move a stress free a..
Specialties :-Minutemen professionals are trained and skilled movers, who determined in making the move stress free and less chaotic. They offer affordable price for the ..
Specialties :-Matt’s Moving Company in Minneapolis has been providing significant and satisfactory services to all the residents of the city and the nearby areas. We pr..
We are just a call away from you and you will able to avail the most beneficial services for yourself just by requesting a quote for your relocation. We will offer you with six quotes as per your estimate and let you choose as per your budget to carry out your relocation more effectively. For more information, you can contact us and request a quote from us! Below are the different kinds of moving services that you will receive from your chosen service provider. Home Shifting is the widest requirement these days when it comes to services provided by moving companies Minneapolis. It can be a tedious task when done on your own. Movershire is an assorted range of cheap mover Minneapolis which can help you reduce your residential movement cost by around fifty percent. Our experienced firms help you segregate the goods and take special care for things like fragile kitchenware, precious and sophisticated furniture, toys. The value these professionals add to your relocation need is the high-end management of household equipment. The professionals are experienced to carry out big or small residential meanwhile you remain at ease and comfort without worrying even a bit about anything. Corporate shifting involves its own complexities and hence requires more expertise than required in residential goods. It may involve a movement of an arrangement of office supplies, transfer of sensitive data, files and movement of sophisticated equipment. It requires a high level of management, since it may involve coordination with a large number of people and the huge amount of goods for relocation. We have the answer to all your questions for getting an estimate regarding better movers Minneapolis MN in case of corporate movements. Mismanagement of any sort can lead to delay in the process and missing of documents. Loss and damage to equipment are inevitable when the corporate shifting is done by a novice. Corporate movement usually involves the movement of complete business involving people, goods, and equipment. With their comprehensive insurance, you are even covered when the experts are working on your project, hence providing you double protection. Pets are a part of the family and you don’t want to leave them behind while you relocate. However, it is often not feasible to carry them to a new location on your own. We come up with many options in terms of moving service suppliers and let you play in such situations. They have special vehicles to carry your pets to a new location for you and they take utmost care of pet’s nutrition and wellbeing while they are in transit. Here are few suggestions from experts before you handover your pets to the moving service provider. You must attach an identity collar with all your contact details to tie on your pet’s collar. This will help people to contact you regarding your pet in case of any mishap. One must also check the guidelines about the pets in new place beforehand. You should also consult your veterinary for any kind of medication or vaccination that need to be provided to your pet before you set them in transit. Lastly, arrange for food and water that is required for your pet to survive while you are not there with them. You may have just bought your new car when you need to relocate. However, you don’t want to deteriorate its performance by carrying it on road. You can easily ask for the car transportation service that is appropriate for any kind of car transportation across the globe. Our relocating experts access and copy the current situation of your car and ensure that it reaches the destination in its original condition. On the top of this, the experts also do an all-inclusive comprehensive insurance of your car to cover any damage while in transit thus keeping you in zero loss condition, whatever may happen. From our provided estimates, you can look out for most accredited long distance moving companies Minneapolis to provide vehicle movement. They tend to remove all the loose accessories attached to your car before moving them to the destination and hand over to you and attach it later. This is done as such accessories are not covered by any insurance and they do not want you to face any kind of loss while transporting your vehicle. Then at the destination, they deliver your car and get the no damage form signed. This ensures that customer has checked and is assured and satisfied with the delivery. Each country has its own list of restricted items which can or cannot be transported in it or through it. One must comply the long legal procedures before sending these items to the other country or sometimes even to another state. There also maybe some fees or charges levied by the customs department of that country to allow you to carry the said item. Then there is a list of embargo nations which one should keep in mind before departing any product to and from. With our movers, you need not worry about all these legal procedures. We will offer you experts that are skilled in taking care of checking and complying with all your local and international departures wherever applicable. Our wide network of experts provides most affordable moving services Minneapolis. Heavy Machinery movement is involved while you plan factory relocation or office shifting. You may also encounter heavy machinery shifting in case of commercial movements. One requires being professional while moving this heavy equipment. They are not only more susceptible to damage but also a small damage could lead to a great loss both in terms of money and productivity. These complex movements require expert hands to carry out them. All you need to do is to pick up the phone and call us for our customized quotes for heavy machinery movements. The best you can do is requesting your moment services well in advance. Since this kind of movement requires lots of expert hands and planning, a hasty decision of movement may impact overall moving service in terms of cost or quality. We provide all kinds of local and international moving service providers. Our every expert is a specialized piano mover Minneapolis. They also deal in providing transports for self-movement. Other services that they specialize in are piano moving services, the labor movement, specialized packaging, and storage rental units across Minneapolis. Don’t forget to contact us through email or phone and you can save up to more than fifty percent on your movement services. Movershire covers a large range of packing and moving service provider in Minneapolis who specializes in both local and international movements.